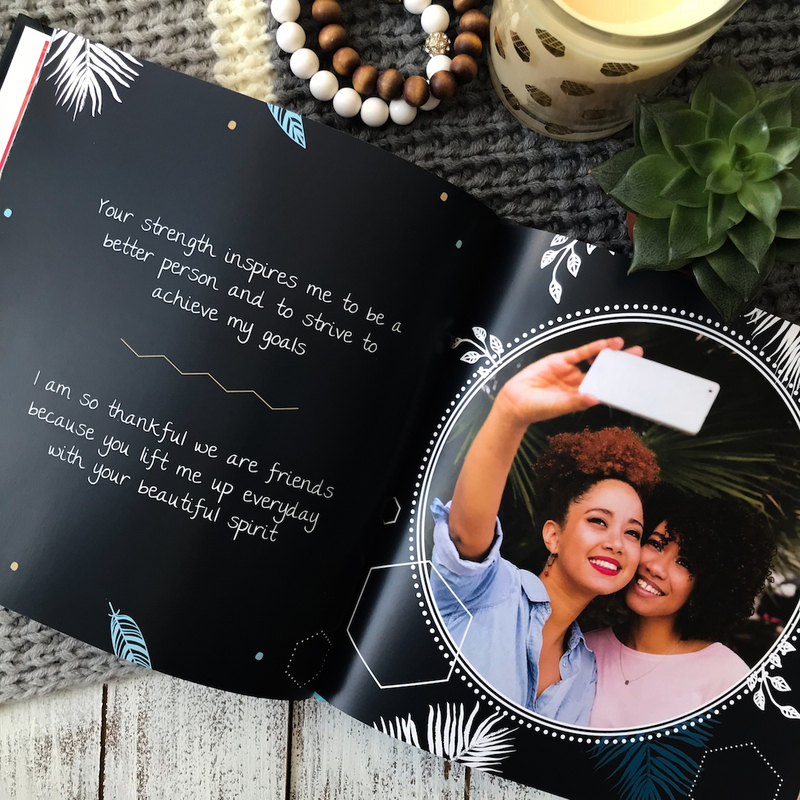 Personalize this best friend gift book to cherish a special friend in your life. Share your best memories, tell them why they’re special to you, express your deepest gratitude. Easy fill in the blank style + add your own photos. 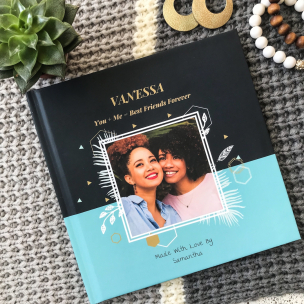 This personalized gift is especially made for your best friend. 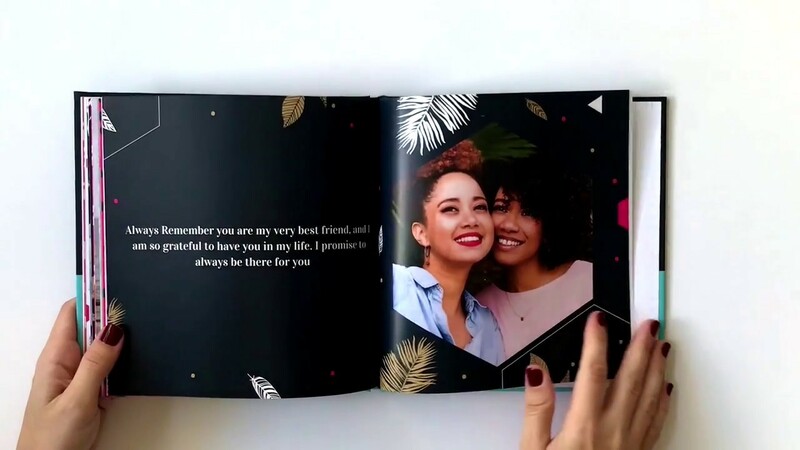 A personal memory book made to celebrate a special person by sharing with them all the things that make them unique and why your relationship is special. 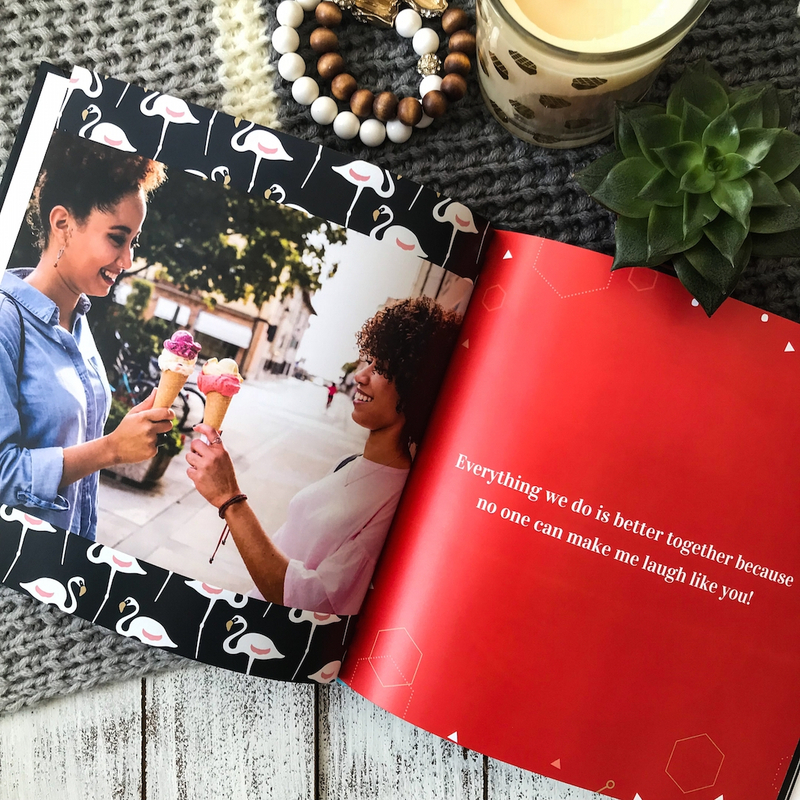 Our fill-in-the-blank style makes it so easy to remember your best memories and to get all your thoughts and feelings out. Add your own photos for a truly personalized gift. 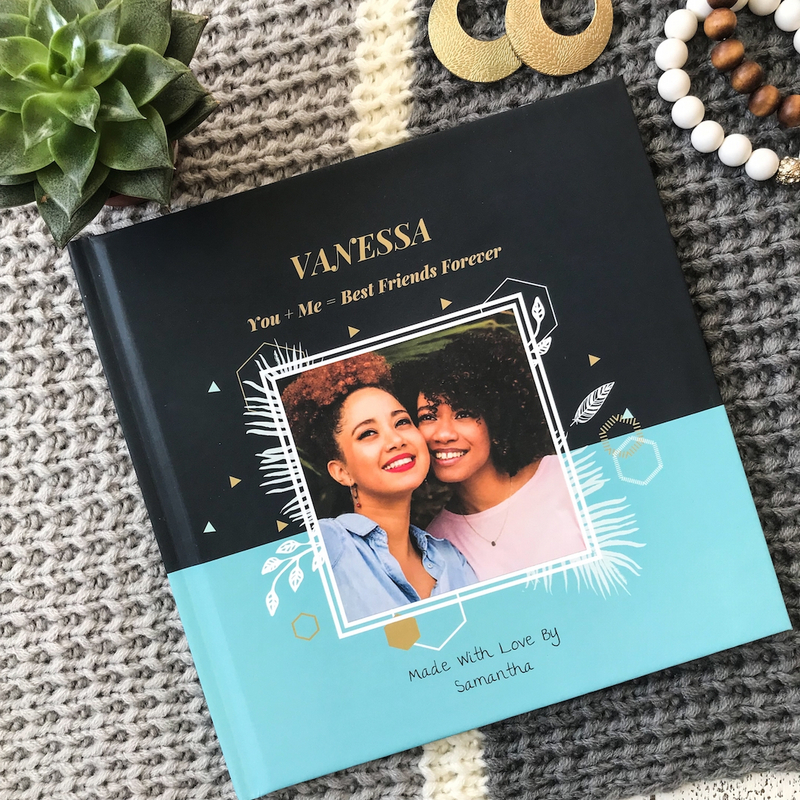 Making this love book is a beautiful experience and a great permanent keepsake. Want to customize your own text? You can do that! Simply use the 'write your own text' button.